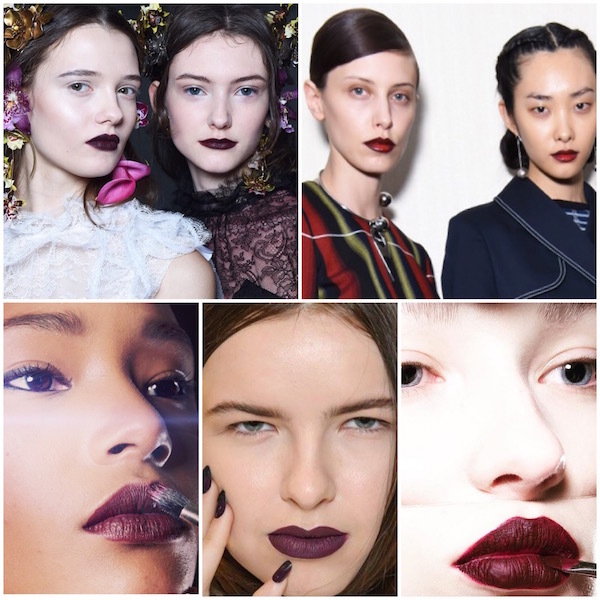 The vamp lip has been trending since last season, and it looks like it will be the color to covet come fall. In the interim, try this dark and dramatic shade that is universally flattering and looks fab on all lips and all skin tones. 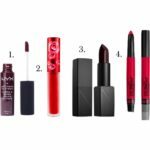 This season’s red is dark, moody, and sometimes even vampy with a hint of purple. Celebrity makeup artist Kristin Hilton, who has worked with Jaime King, Allison Williams, and Uma Thurman, says: “I’m sure you’ve heard, but the ’90s are back.” And there is no better indication of nineties inspiration than that of the bold assortment of vampy runway pouts, as seen at Zac Posen, Erdem, Rodarte, Gareth Pugh, and Nicholas K.
“What do these lips have in common? 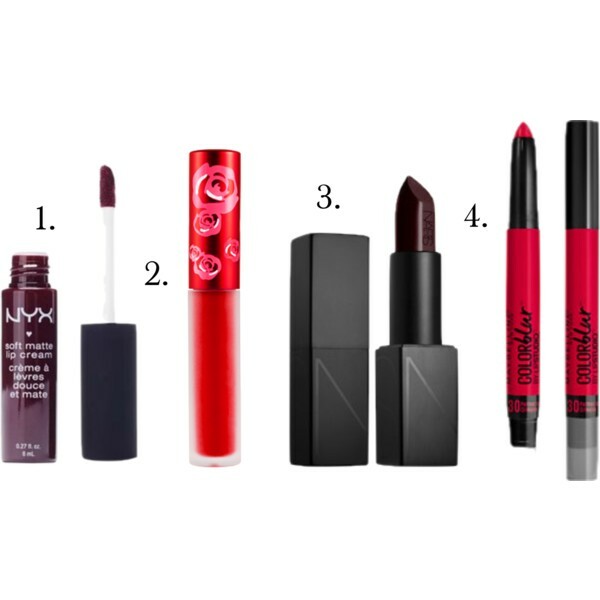 Think deep, bold, opaque shades for a show-stopping pout,” says Kristin. Paint your pout pretty today!